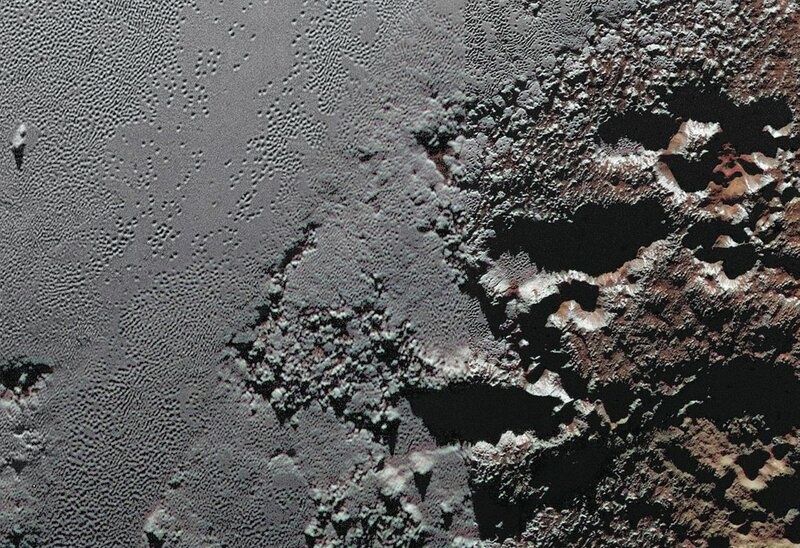 Explanation: Pluto's pitted plains meet rugged highlands in this stunning view. On the left lies a southeastern extent of the bright region still informally known as Sputnik Planum. 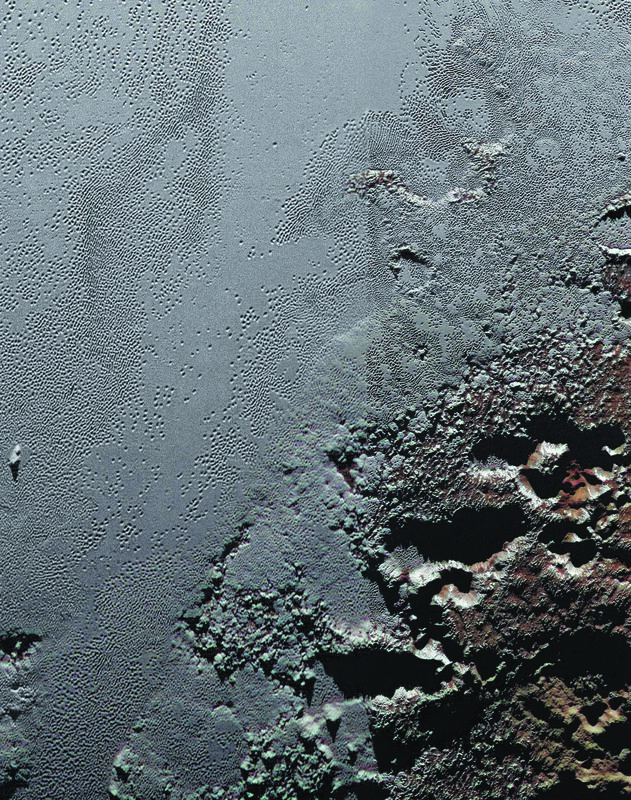 At right the edge of a dark region, informally Krun Macula, rises some 2.5 kilometres above the icy plains. Along the boundary, connected clusters of large pits form deep valleys, some over 40 kilometres long with shadowy floors. Nitrogen ice is likely responsible for the more reflective plains. The dark red colour of the highlands is thought to be from complex compounds called tholins, a product of ultraviolet light induced chemical reactions with methane in Pluto's atmosphere. The enhanced colour image includes portions of the highest and second highest resolution image data from the New Horizons July 2015 flyby of the distant world.